Dubai, 28/03/2019 –Three Mozambique-bound planes packed with life-saving aid are set to take off today from Dubai as, following the instructions of His Highness Sheikh Mohammed bin Rashid Al Maktoum, Vice-President and Prime Minister of the UAE and Ruler of Dubai, the International Humanitarian City (IHC) arranges for additional airlifts to transport core relief items from the stockpile of its members and partners to Mozambique’s capital, Maputo. The aid will then be moved onwards to the cyclone-ravaged city of Beira. On board two of the ninety-tonne-shipments are blankets, buckets, shelter toolkits, kitchen sets, vehicles and other much-needed supplies for 200,000 people provided by the International Federation of Red Cross and Red Crescent Societies (IFRC). One of these two aircraft is the private plane of His Highness Sheikh Mohammed bin Rashid Al Maktoum. The second plane is a commercial charter funded through IHC’s Emergency Fund. Reports of a cholera outbreak and signs of malnutrition signal worsening conditions, with Beira’s children especially vulnerable. 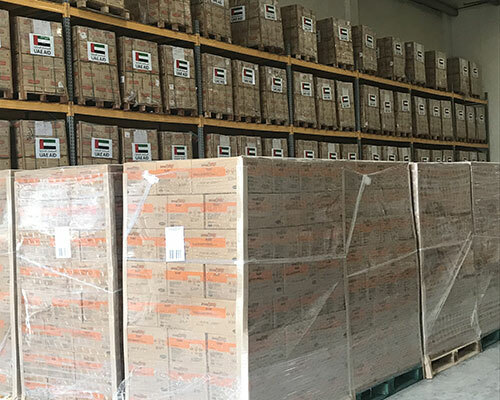 To help, the UAE Ministry of Foreign Affairs and Cooperation has funded the third aircraft carrying a relief consignment of 91 metric tonnes to provide Ready-to-Use Supplementary Food (RUSF) to treat 15,000 children suffering from moderate acute malnutrition. The IHC activated its emergency task force earlier this month to support UN and NGO relief efforts for Southern Africa where massive floods destroyed large swathes of lands leaving hundreds dead and thousands displaced. Meanwhile, the IHC is also providing broadcast connectivity in the field to humanitarian agencies and journalists in Beira through its Flash Studio Project. The team currently deployed to Mozambique is travelling to Zimbabwe later this week to provide communications and connectivity services there.